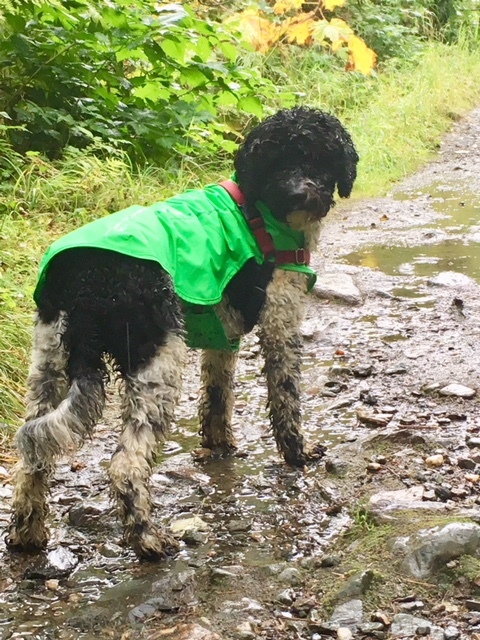 The Sun Shower™ is a lightweight waterproof raincoat that keeps dogs comfortable and dry during wet weather adventures. 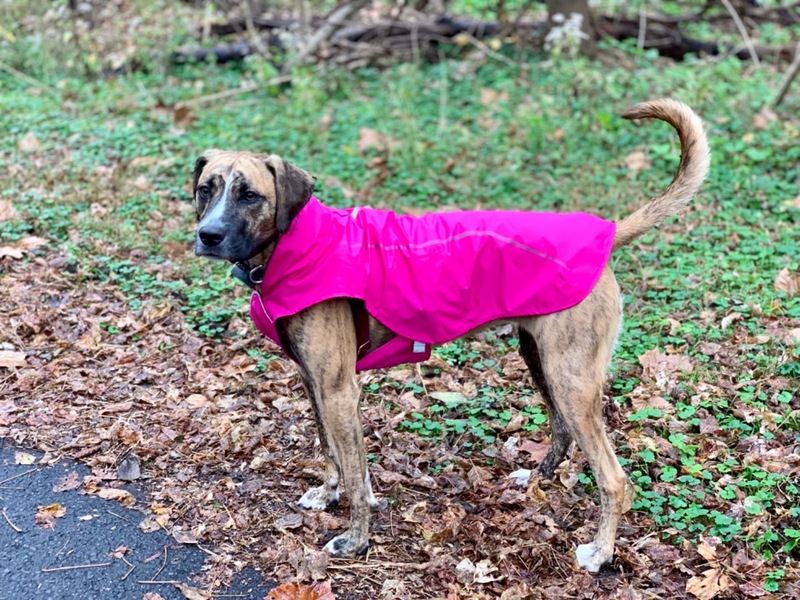 The fold-up storm collar provides added coverage, and a non-insulated design makes the Sun Shower a great option in warmer climates. Side release buckles allow for easy on/off, while reflective trim enhances low-light visibility. 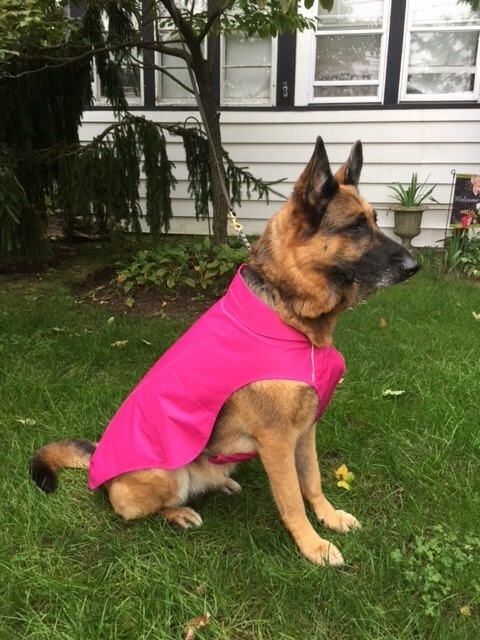 Vest style with oversized storm collar that folds up for additional weather protection. 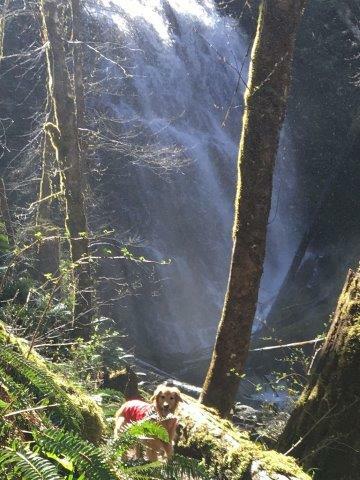 Reflective trim and light loop for attaching The Beacon™. 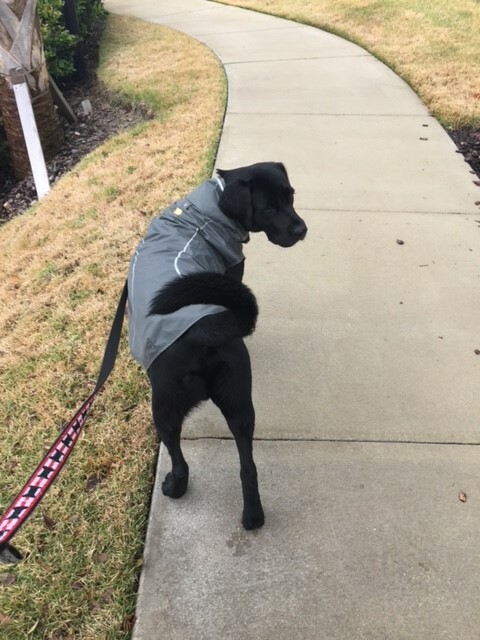 This jacket isn't so much for the dog, it's for us so we don't have to wipe her down as much after a rainy morning walk. Does what it was meant to. Everyone wins. 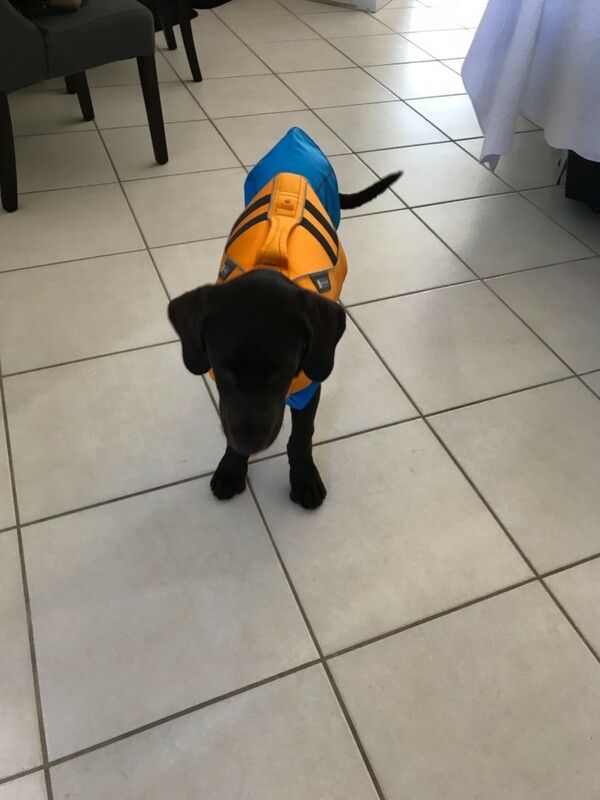 Rain jacket fits perfectly. Looks great. Keeps my kid dry. 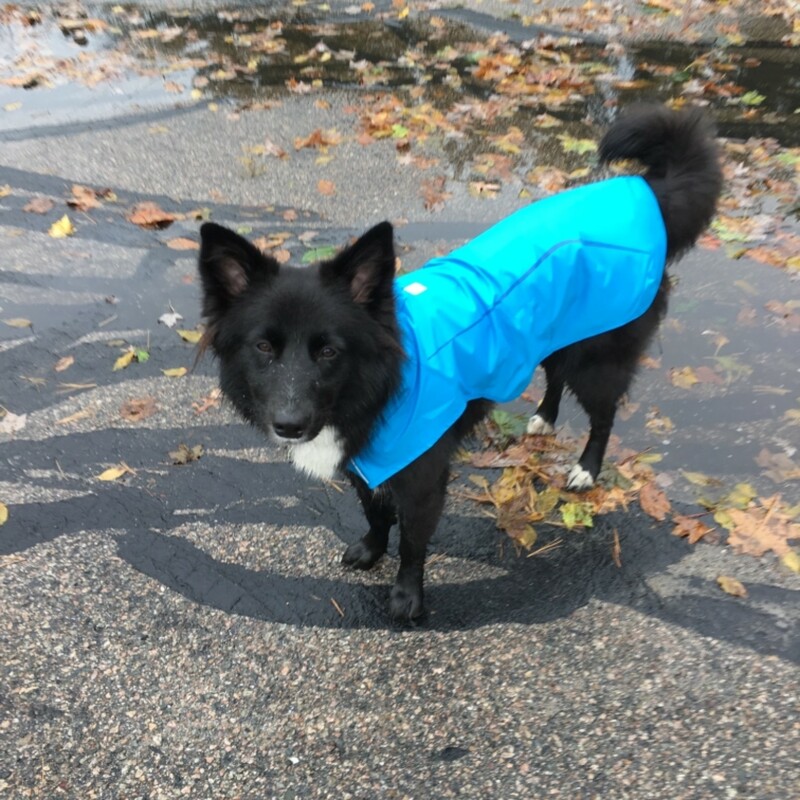 We ordered this for our little pup, who hates being in the rain. It fits really well and provides coverage all the way to her tail. I LOVE THIS ITEM!! IT KEEPS THE DOG DRY AND WARM ALSO. EASY TO CLEAN AND EASY TO GET ON. The jacket it great quality. It fits well and is very easy to use. 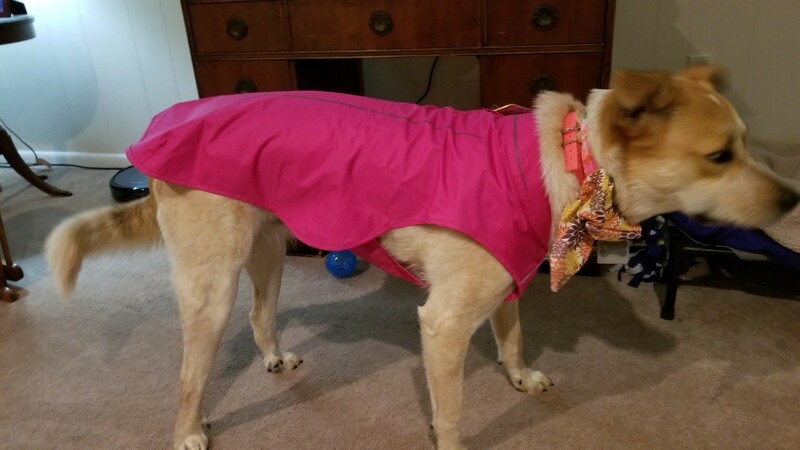 This is a must have jacket for thise who have double coated dogs and don’t want to spend an hour drying them off just for a quick outdoor walk.